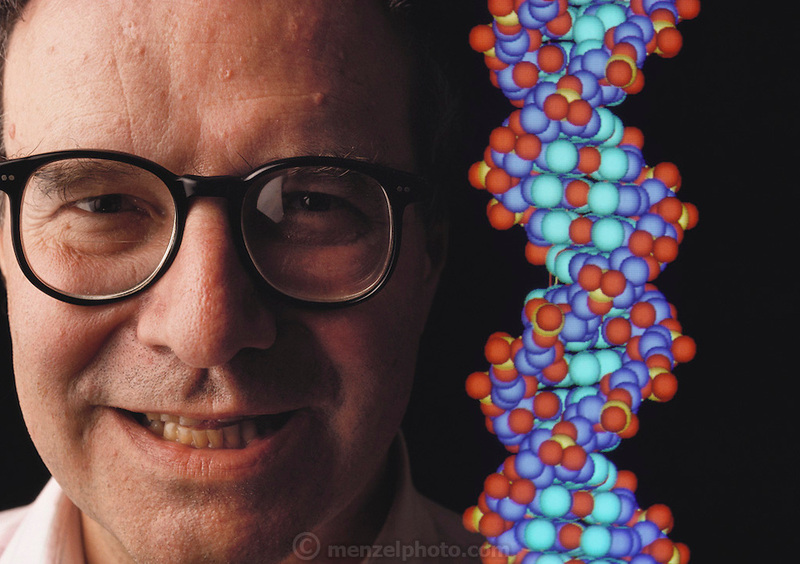 Walter Gilbert, Harvard University Nobel laureate scientist, appears next to a computer graphics representation of the DNA molecule in this double- exposure photograph. Gilbert is a leading proponent of the human genome project, an ambitious plan to build a complete, detailed biochemical document of every gene expressed on each of the 23 pairs of human chromosomes. MODEL RELEASED May 1989..Human Genome Project.